Last weekend we visited a strange, but awesome place. 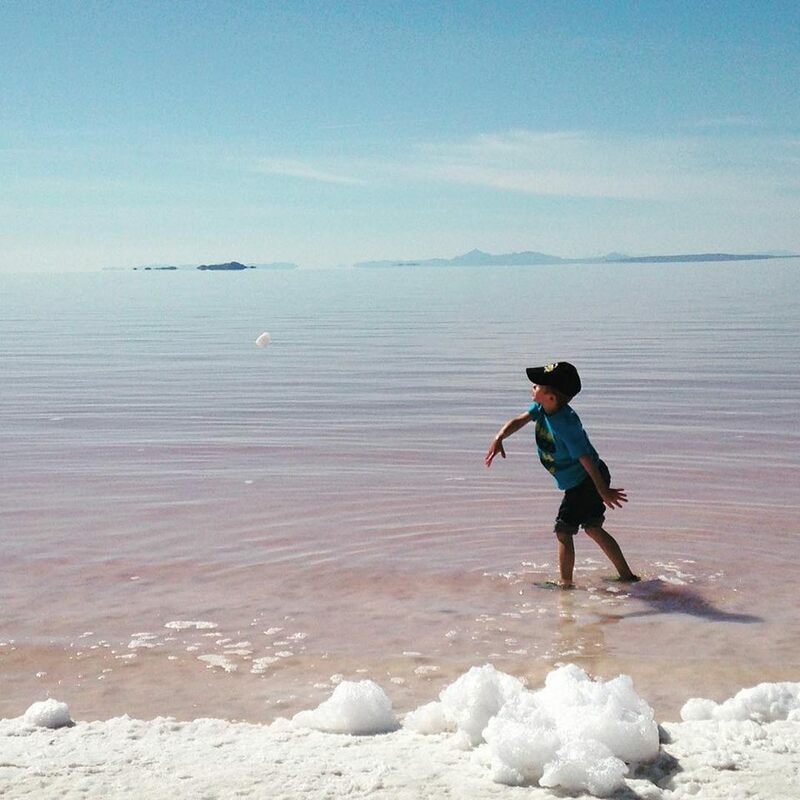 The Great Salt Lake! We only live a few hours away, but hardly ever visit.. Sometimes, it feels good to get out and be somewhere so completely different that you wonder if you are even on the same planet. 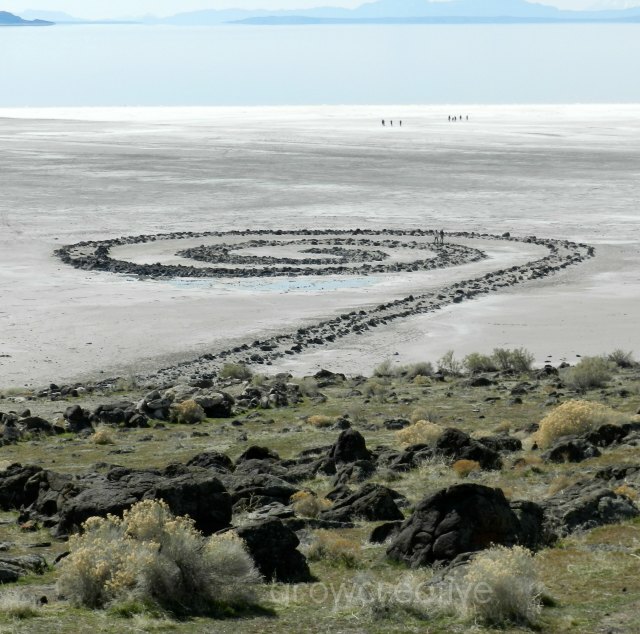 The main reason for this trip......... the Spiral Jetty brought about by an artist named Robert Smithson in 1970. I love seeing stuff in real life that I've studied in my art history classes. Very cool! 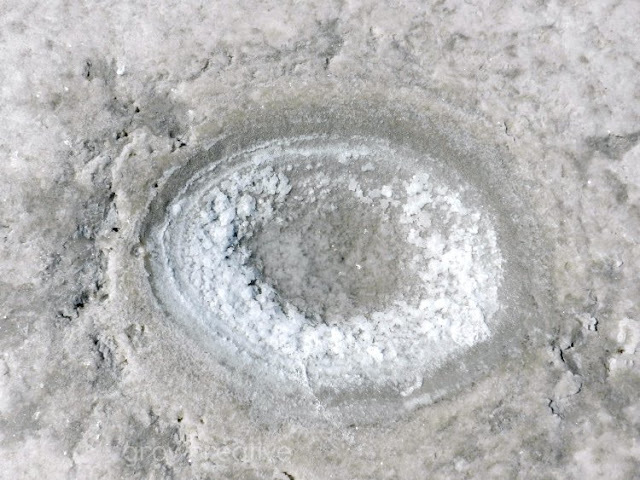 Part of the allure of this earthwork is that it's interactive. 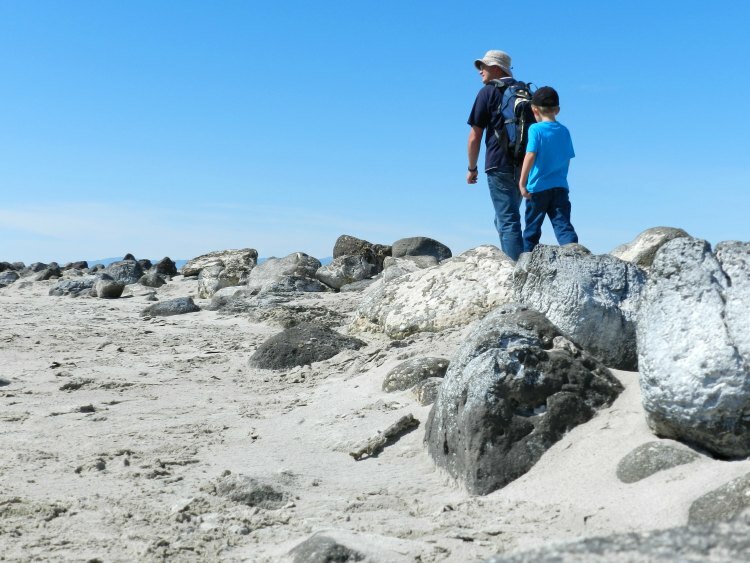 You can walk on top of or around the jetty, spiraling in. 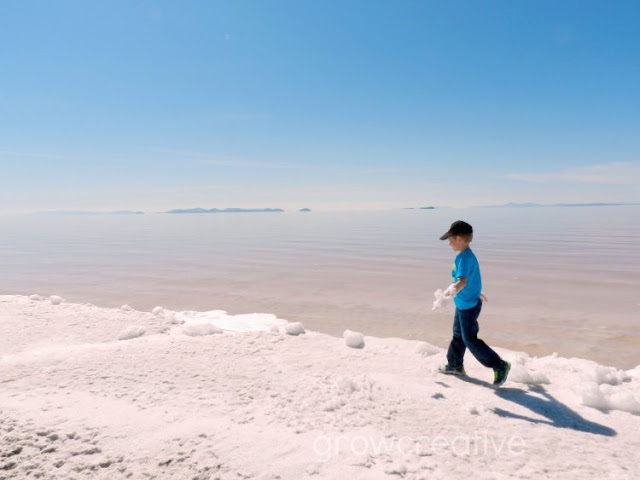 Walk about 100 yards past the jetty and you reach the waters' edge of the north shore of the Great Salt Lake, complete with marble-like earth, pink water, and salty foam. So excited for many more adventures like this! Spring is here! Lovely pictures! A very interesting place! Thanks for sharing your adventure! Cool pictures! It almost looks like another planet!